How to care for your fresh flowers. How to care for your flowers so you will get maximum enjoyment. 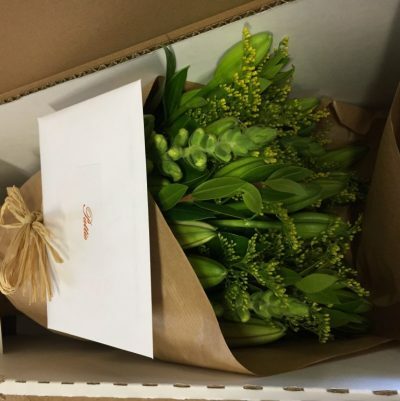 Fresh flowers are highly perishable, delicate, and time-sensitive products which require a very different set of conditions than other goods. Remove all of the leaves which will be under the water while in the vase. Leaves that are submerged will rot, thus creating bacteria and shortening the life span of your flowers. 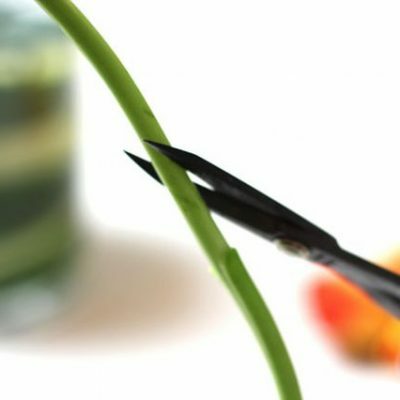 The flower stems should be re-cut and immediately placed in water. This is important for hollow-stemmed flowers so it will prevent an airlock from forming in the stem which may prevent the flowers from taking water. 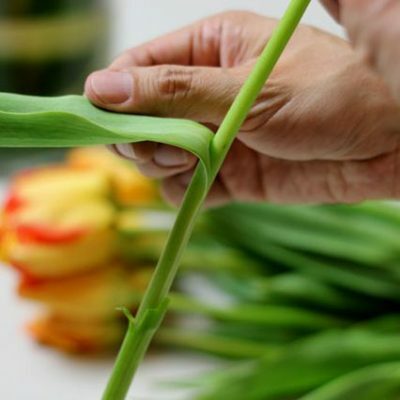 The stems should be cut at approximately a 45 degree angle, which will create a wider exposed area and allow the flowers to take the maximum amount of water. Always use clean vases or containers. 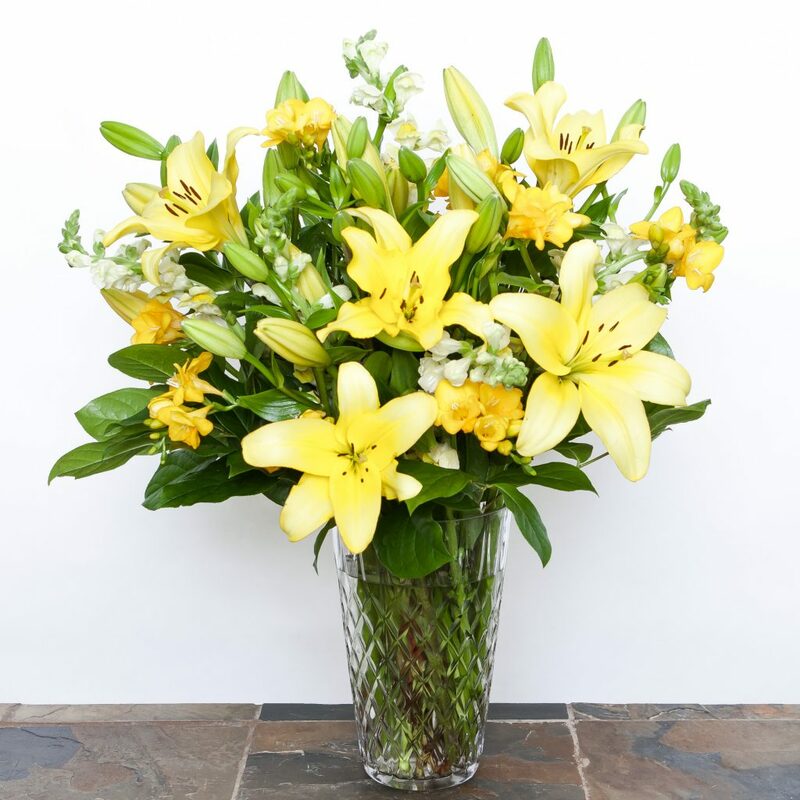 This will prevent any bacteria from ruining the quality of the flowers. Never place your floral arrangements in full sun or over a heat source. This will cause excess water loss from the flowers, and they will wilt very quickly. For a maximum life span the best place for your flowers is in a cool room. Check the water level daily. Change the water and flower food every three to four days. 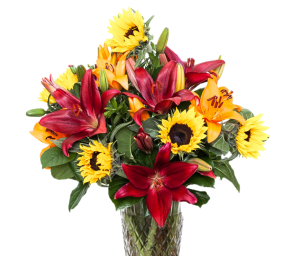 Our grower fresh flowers are shipped when they are in bud form, which is the recommended state to pick flowers and the best way to ship them to avoid damage. You will then have the pleasure of seeing them slowly open.